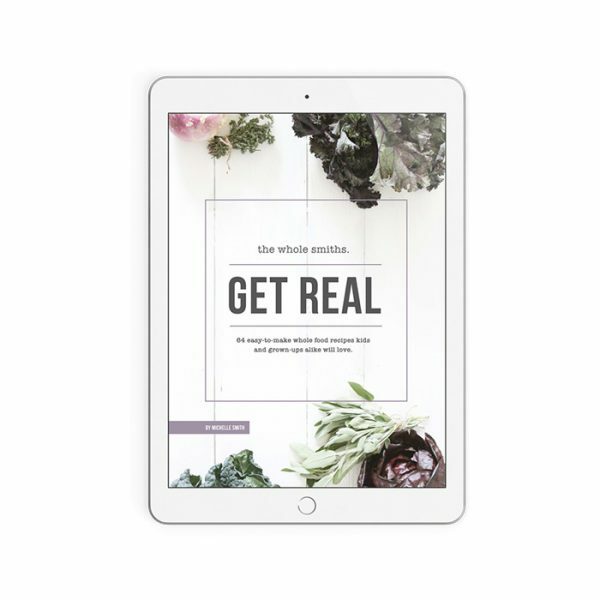 This e-book is loaded with 62 whole food recipes that are designed for busy humans. Let’s GET REAL, it’s time to EAT REAL. Right? This e-book is loaded with 62 whole food recipes that are designed for busy humans. Most of the recipes are easy and quick to make with no-fuss ingredients. I don’t think grains, gluten or a bit of sugar here and there are the culprits. But I DO think the amounts of these and other highly processed foods that we consume are a concern, and I think it’s time we start addressing the issue. I feel passionately that eating healthy or “clean” doesn’t need to be boring or pretentious. It can be fun and amazingly delicious! Recipes included, like the Cauliflower Shrimp + Grits are not only simple to assemble but use flavors that we know and love. And don’t even get me started on the Apple Pasta! It’s such a fun way to serve up boring ‘ol apples… and it’s not just for kiddos. Add a scoop of ice cream over top and you have a dessert for grown ups. Or leave the ice cream off, it’s still delicious! 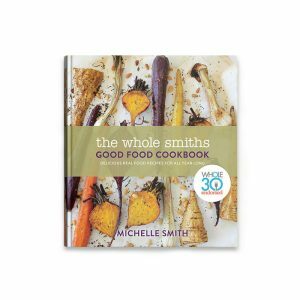 When creating this e-book, it was important to me that it be a book that people would actually cook from. I wanted to create recipes that become family favorites; recipes you make so many times that eventually you don’t even need the recipe. My goal is to get people and families back in the kitchen cooking and eating REAL food; understanding what types of food fuel their bodies and what types of food make them feel not-so-great. A few other recipes you’re going to adore include the Carrot Cake Smoothie (Is it dessert? Is it breakfast?! It IS delicious! ), the Mustard Roasted Whole Cauliflower, the Thai Beef Wraps and so many more. Did I mention there’s 62 total recipes?